The 3rd China Catering Expo (CCE 2012) will be held at The Venetian Macao / The Venetian Macao Convention & Exhibition Center, Macao, on September 21-23, 2012. Two editions of the China Catering Expo were successfully held previously, namely, the first edition, in Chengdu, Sichuan Province, which covered an area of 26,.000 square metres, with over 900 booths, and the 2nd edition, in Xi´an, Shaanxi Province, where over 1,800 exhibitors put on show their products and services in a 42,000 square metre venue. The objective of the 3rd China Catering Expo (CCE 2012) is to disseminate the Chinese food culture, build-up brandedcatering enterprises, provide innovative development direction to the catering sector and strengthen international exchange and business cooperation in the food and beverage industry. The 3rd China Catering Expo (CCE 2012) will be a national-grade, large-scale international event in Macao. Diverse exhibition categories of the 3rd China Catering Expo (CCE 2012) 1. Cultural demonstration of brand name characteristic dishes 2. Featuring machinery and equipment used in food preparation, kitchen supplies and related equipment and information technology introducing planning programs for branded restaurants, namely dining environment and restaurant and kitchen designs, and also operating plans for restaurant chains, including respective processing and distribution centres. 3. Quality ingredients and processed food 4. Wine, coffee, tea and other beverages; processed products, equipment and supplies The 3rd China Catering Expo (CCE 2012) is hosted by the Ministry of Commerce of the People´s Republic of China and the Secretariat for Economy and Finance of the Government of Macao Special Administrative Region, organized by the Circulation Industry Promotion Centre of the Ministry of Commerce and the Economic Services Bureau of the Macao SAR Government, and co-ordinated by the Macao Convention & Exhibition Association. 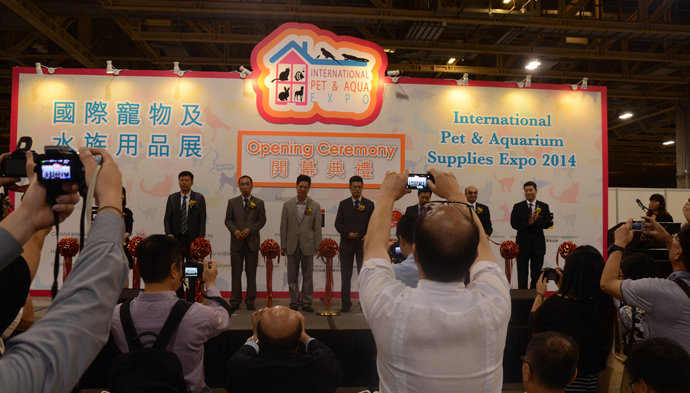 International Pet Suppliers & Aquarium Expo 2014 is to be held during June 6-8, 2014 at The Venetian Macao / The Venetian Macao Convention & Exhibition Center, Macau. International Pet Suppliers & Aquarium Expo 2014 (Pet & Aqua 2014) will showcase the International branded pet & aquarium supplies, food, products & the related service, provide the pet industry suppliers & service providers with an ideal trade platform for exchange and business networking. Greater impacts by Macao Exhibitions in Asia Mr. Alan Ho – Vice Chairman of Macao Convention and Exhibition Association To diversify the Macao economy development. MICE industry plays an important role. Mr. Alan Ho said, ‘Supported by Macao SAR and people from all walks of life, MICE industry is growing up. According to the official figure by government and industry, the figure reflects that the quality of exhibition and the quantity of participants are raising’. Create Branded-Exhibition Mr. Alan Ho said, ‘ The statistics on exhibitions were collected starting from 2001. In 2001, the number of exhibition was 251 while it increased up to 1030 in 2013, which was increased by 4 times. 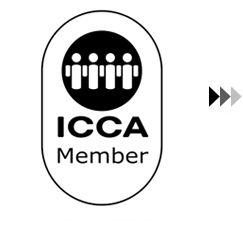 According to the International Standard, the quality of local MICE industry development is assessed by the scale and number of professional participants and non-professional participants. Through the years of development, the scale and the number of participants maintained double digit growth. The facility is improving and the overall exhibition hall is over 160,000 m2.Besides, over 30 hotels are well equipped in venues. After Macao SAR launched the Incentive Program, the International Meeting and Trade Fair Support Program is launched to attract more International Professional Exhibition. For example, AFE 2015 (Asia Funeral and Cemetery Expo & Conference) was moved to Macao and attracted more than 300 professional buyers, which was held in Hong Kong previously. Through years of development, Macao has created some branded exhibition including MIF, World Chinese Entrepreneurs Convention, Macao International Environmental Co-operation Forum & Exhibition (MIECF), Macao Franchise Expo, the Global Tourism Economy Forum, G2E Asia, Great Gathering of Auto, Yacht and Aviation Exhibition etc. and have greater impacts in neighboring area. Especially to deserve to be mentioned, the Auto Show held in Macao attracts more eyes. Previously, more famous branded Auto Show were held in Hong Kong, while nowadays those Auto Shows come to Macao for New Car Public Announcement directly. The Auto Show is not only a grand event in Macao, it also covers the market in HK and Pearl River Delta region.. To look ahead, the marketization of Macao MICE industry should be in step and bid for more international exhibition to be held in Macao. It is suggested that government should set up bidding center, such as Malaysia. Since Malaysia government set up the Convention and Exhibition Bureau, it invited a consultancy company assisted to bid for more than 300 projects to be held in Malaysia. As MICE industry involves different perspectives, it hopes support by different government department. 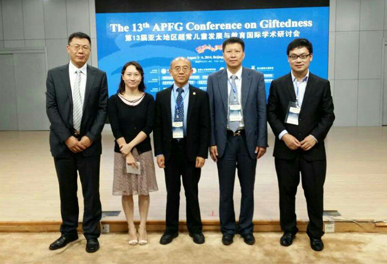 For example, Asia Education Expo need the support from Macao Education and Youth Fairs, Financial Conference is supported by Monetary Authority. Improve Customs Clearance Procedure Moreover, customs clearance and logistics are important. The utmost challenge is Gongbei Customs still execute the old policy and it takes 3 to 7 days for inspection and quarantine. The cost is pulled up for the storage and human resource. The export form is too elaborated to fill the product category. Hence, exhibitors can make mistakes easily. In conclusion, high cost and complicated procedure are serious problems. Some exhibitors prefer to transport the products to Shenzhen first, and to HK, to Macao for the convenience and cost saving consideration. Nowadays, Shenzhen and Guangzhou set up the Convention and Exhibition Bureau. Customs procedures are handled in more flexibly and there is no need to inspect the products in small quantity and inspected export products. Take the China High-Tech Fair as example, the customs personnel will inspect randomly on the spot, which save the storage cost and time. If the procedures can be simplified and flexible, MICE industry will be more developed. 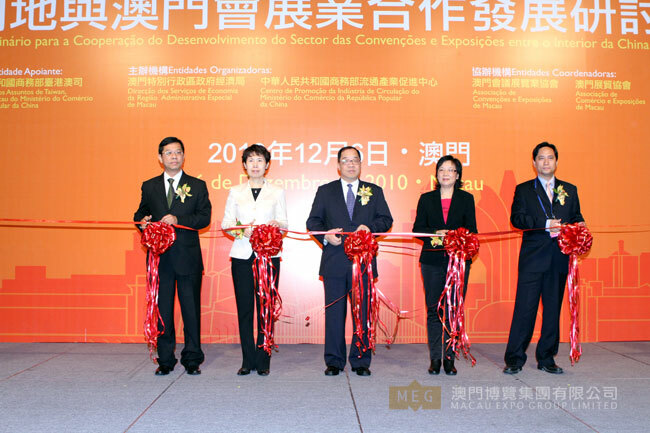 Macao Expo Group Co. Ltd. became the first solely foreign-owned MICE enterprise in Hengqin, starting from June 09, 2014. Chang Hexi The Secretary - General of the Forum Macao The Secretary-General Chang Hexi of the Forum Macao said, ‘Workshop is an important training programs of the Forum Macao Centre, which covers the topic of Public Health and it is important for the cooperation between China and Portuguese countries. The Workshop serves as a platform for communication and experience sharing. The students also had the opportunity to attend the Macao Trade and Business Fair (The Fair) held in Chengdu, Sichuan'. 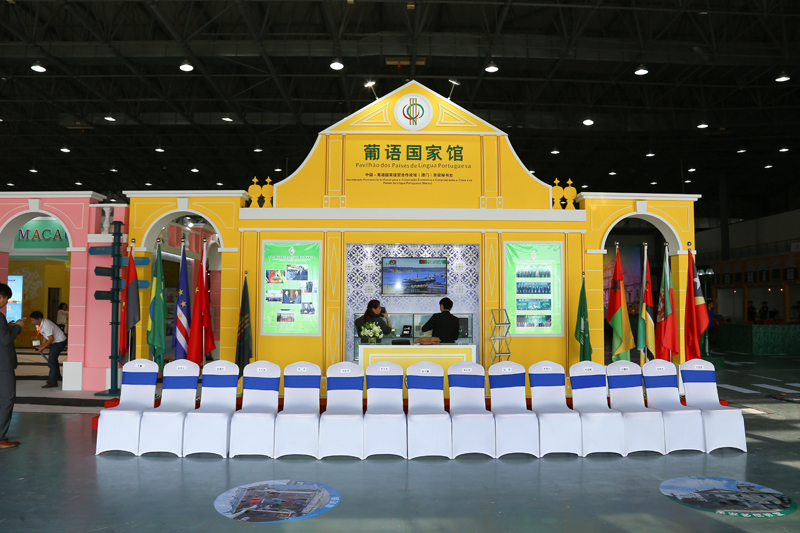 Chang Hexi also said, ‘ The Workshop is the fifth one since established, it helps cooperation on the Public Health among Mainland China, Macao and Portuguese countries. The Workshop was held in Macao. In Sichuan, students were invited to share experience with the local Medical & Health Community and field trip to those communities. Since Sichuan delivered some students to provide the medical service for Portuguese countries, the students have a better understanding of the local situation, which enables the students from Macao learn more'. Chang Hexi also commented, ‘The Fairs were held in Mainland China, which promotes Macao in more aspects and enable more Chinese from mainland China to know Macao. As the Forum Macao also attend the Fair, it enriches the activities in the Fair. At the same time, mainland Chinese also would like to know more about Portuguese countries by the Fair platform. It hopes the Macao commercial circle with enterprises forms a plat form and establishes the cooperation relationship with Portuguese countries, which strengthens the trade and economic cooperation'. Besides, the Forum Macao held the Themed Seminar on Investment Environment of Portuguese countries and talked to the local enterprises. On one hand, the Seminar enables the local enterprises and commercial circles have a better understanding of investment environment and economic situation in Portuguese countries. On the other hand, it introduces the business opportunities prioritizes by Portuguese countries to mainland China. The Seminar plays a vital important role and attracted more attendees and will keep participating in the Fair.